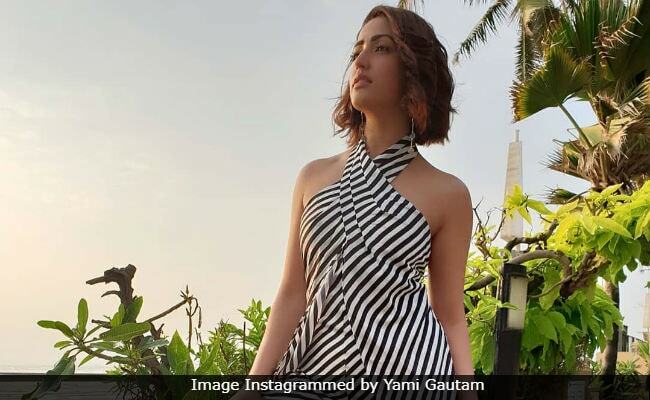 Yami Gautam, recently interacted with the media and described the process of shooting for her forthcoming film Uri as "exhausting yet enjoyable," reports news agency IANS. Yami, who will be seen sharing screen space with Raazi actor Vicky Kaushal said that shooting for the high-octane action film was "not easy" but thanks to her co-star Vicky Kaushal, she had fun shooting for the film. The 29-year-old actress told IANS: "Shooting of such films is never easy, and is rather consuming. The same thing happened with me when I was shooting for my earlier film Kaabil in which I had to learn dance and understand the body language of a visually challenged girl." During the interaction, Yami also talked about how her co-stars are "very giving by nature. "The fact is, when my co-actors are giving by nature to get every scene right, and not working in isolation, the exhaustion becomes enjoyable for all the performers," IANS quoted Yami as saying. Uri is a high-octane action film. The teaser of Uri released last week and it has over 4.5 million views on YouTube. Apart from Yami and Vicky Kaushal, the film also stars Kriti Kulhari, Paresh Rawal and television actor Mohit Raina. Directed by Aditya Dhar, Uri, has been produced by Ronnie Screwvala and it is scheduled to release on January 11 next year. Uri is based on the surgical strikes carried out by the Indian army in 2016. Vicky Kaushal will be seen playing the role of an Indian soldier in the film. However, details about the other character's haven't been revealed yet. Yami Gautam made her Bollywood debut with the 2012 film Vicky Donor. She is best-known for her performances in films such as Badlapur, Sarkar 3 and Kaabil among others. Yami Gautam was last seen in Batti Gul Meter Chalu, co-starring Shahid Kapoor and Shraddha Kapoor, in which she played the role of a lawyer.